When you think of your home, what room immediately springs to mind? If you’re like most people, it’s probably the kitchen. What makes the kitchen so important to family life? Good Beginnings. Whether with breakfast, or just a cup of coffee or tea, the kitchen is probably where you start the day, setting the tone for everything that comes after. You deserve to have a peaceful start! The more tranquil your surroundings first thing, the better you’ll feel. Feed Your Family. Healthy eating begins in the kitchen. Let’s face it, cooking at home is better for your body, your mind, and your budget than eating out. With a clean, beautiful, well-organized space to do it, you’ll enjoy your time in the kitchen more, cook at home more, and save money and empty calories. Cooking together as a family teaches children skills they will carry with them the rest of their lives. It’s even a great way to practice their math. And of course, eating together is the perfect time to connect each day. Make the Party. Gathering friends and loved ones is especially important around the holidays, and your guests will naturally gravitate towards a lovely room. Most parties circulate around the kitchen, and with good reason–that’s where the food and drinks are coming from! No matter how you look at it, the kitchen is a vital part of your home life. When you’re ready to make yours feel as important as it is, contact us at Williams Fabrication, and let’s design a kitchen as beautiful and strong as your family! New Accents. Little things make a big difference in home decor. Consider swapping out accessories like throw pillows, lap blankets, hand towels, soap dishes, and placemats for seasonally-appropriate ones. New Scents. Whether scented candles or oil diffusers, spices like cinnamon, ginger, clove, and nutmeg (basically the ingredients in pumpkin spice) or seasonal fruits like apples and cranberries will give your home a cozy fall atmosphere. Seasonal Decor. Don’t forget about holiday decorations! Even if you’re not crazy about spiders and ghosts, things like pumpkins and leaf wreaths will give your home a fresh look. Fall Bouquets. We tend to think of flowers in the spring and summer, but plenty of flowers bloom in the fall as well. Don’t feel you have to stick with flowers; leaves, ghostly branches, and cinnamon also make a lovely autumn statement. Prepare the Fireplace. Even if it’s not cold enough for a fire yet, it will be soon! Get your fireplace ready to keep you warm and comfortable once the temperature drops. 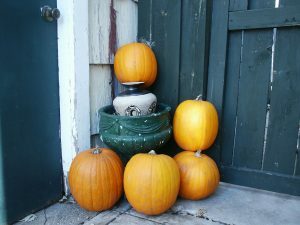 Even if you’re not turning your porch into a haunted house, the fall is a great time to shake things up a bit. These easy ideas will refresh the look of your home in small ways. 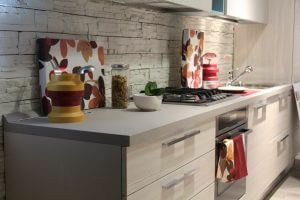 If you’re looking for bigger changes, check out the Williams Fabrication inventory of countertops! Maybe you’ve purchased new granite countertops from us, and you’re beyond excited because now the value of your home has increased. Or, maybe you’ve bought quartz countertops to add to your kitchen for a beautiful touch. Either way, your kitchen is about to have a makeover. There are a few things to remember before demolition begins. Interested in our products? Take a look at our inventory! 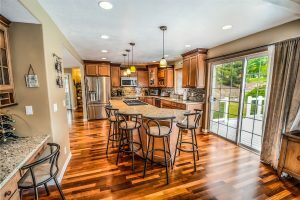 Consider the following tips before starting your kitchen remodel. If your kitchen is temporarily out of order, you won’t have access to your sink or dishwasher. To avoid turning a bath tub into the place to wash your dishes, stock up on disposable utensils, plates, and cups. This life hack will save you a lot of time! You may not have access to your full stove and oven during your kitchen remodel. So, plan your meals around smaller appliances such as a toaster, toaster oven, waffle iron, and blender. Dedicate a different room in your house to keep all of these appliances so your makeshift kitchen will be the go-to place to eat and make food. If you don’t want to make every meal at home, go out to eat with friends! Or, if you’d rather stay home, dust off your grill and make delicious food while enjoying the outdoors. Even though your kitchen isn’t available at the moment, it won’t be long before you can display food on your beautiful new countertops. Do you have questions? Contact Williams Fabrication today, or come down to our showroom to see our quartz and granite countertops! Granite is one of the most popular and enduring materials for countertops, and with good reason: it’s beautiful, durable, and adds a lot of value to your home. 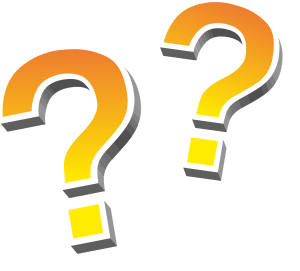 Here at Williams Fabrication in Woodstock, GA, we get a lot of questions about this natural stone, so we’ve put together a list of frequently asked questions to help you decide if granite is right for your needs. Does it Stain? With proper sealing (like you’ll find on all our products at Williams Fabrication), granite is extremely stain-resistant. Does it Scratch? The only things that can scratch granite are things that are harder than granite–which doesn’t include steel, by the way. In fact, granite sits at about a 7 on the Moh’s Scale of Hardness, which means it’s harder than most other minerals and is difficult to scratch. Do I Need a Cutting Board? Yes! While your knives won’t scratch or harm your granite countertops, your granite will definitely harm your knives. Always use a cutting board to protect your knives from dulling, wearing out, or even breaking. What Colors Can I Get? We have natural granite slabs in hundreds of beautiful, unique colors and patterns. Check out our portfolio for some samples, but remember that our Woodstock location the best place to see what we have to offer! How Do I Clean It? Sealed granite resists bacteria, and can be cleaned easily with mild soap and warm water. Make sure to avoid abrasive cleaners, as these can cause scratching. The best way to learn about granite is to ask the experts. Contact Williams Fabrication with your questions, or come down to our showroom to look around! Did you know that remodeling your bathroom can significantly increase your home’s value? Easy ways you can remodel your bathrooms include changing out light fixtures, updating the bathtub, and replacing the countertops. At Williams Fabrication, we are ready to deliver a fantastic product for your remodeling project! Contact us today with any questions about installing stone in the bathroom. It’s 2017, and the remodeling trends are much different than they were a decade ago. Before buying your must-have chandelier or clawfoot bathtub, consider these three bathroom trends that are taking America by storm. Gone are the days where a single medicine cabinet and a mirror were the only things on your bathroom walls. Today, storage is a sought-after bathroom feature. Use the vertical space in this small room to create storage. Don’t be afraid to have your cabinets climb to the ceiling – you can always store the “once in a blue moon” items at the very top. It’s true that dark paint makes a room feel smaller than it is, while light paint makes a room feel bigger. This is especially true in small rooms in your home such as your bathroom. Paint the walls a light version of your favorite color, and use white subway tiles to build your shower. The combination of light paint and white tile will make the room feel bigger and fresh. Singing in the shower is a thing of the past now that you can have your music built into your bathroom fixtures. That’s right, your shower can do the singing for you! There is even a showerhead that has a speaker built into it (made by Kohler). 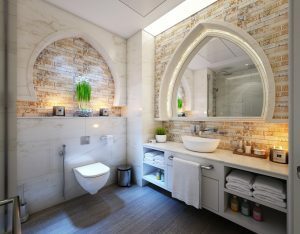 This bathroom trend is surely here to stay. Are you ready to remodel your bathroom and turn it into one of the most stylish rooms in your home? The experts at Williams Fabrication are here to help!